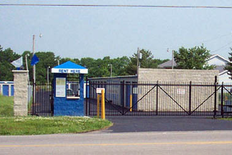 Storage Express is situated in a prime location to meet the storage needs of Mt Pleasant, TN and the surrounding area. You’ll find our facility at 1151 N Main St near Airport Auto Sales & Rental, Mt Pleasant Housing Authority, Crash, and Willow Bend Apartments. We’re just a short drive from Columbia, TN, so whether you live in Mt Pleasant, Arrow, Columbia, or Poplar Top, we’re easily accessible to you. Come see us! Storage Express in Mt. Pleasant is conveniently located on North Main Street, right across from the fire department, the Maury County Airport, and the animal hospital. Highway 43 is just a block north, so we are easily accessible from anywhere in the area. We encourage our customers to take advantage of our 24-hour access. No matter what your schedule, we can work with you! Our paved driveways make getting in and out of your storage unit easy so that you don’t have to carry heavy furniture very far during your move-in. 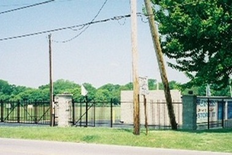 Our clean and well-maintained storage facility features a fenced-in property with computer-controlled gate access and bright exterior lighting. We also have routine professional pest control to make sure your belongings stay clean and safe. Give us a call or rent a space online! Hey Josh! Thank you so much for your positive comments about our Storage Express team! This storage unit is close to our home, was clean, easy to access, and has been very convenient for us to use while we transitioned into our new home and completed renovations. Hi Lacey! We're so happy we're able to help you out. Congratulations on your new home sweet home! Courteous and friendly. I was able to do everything over the phone and through email.